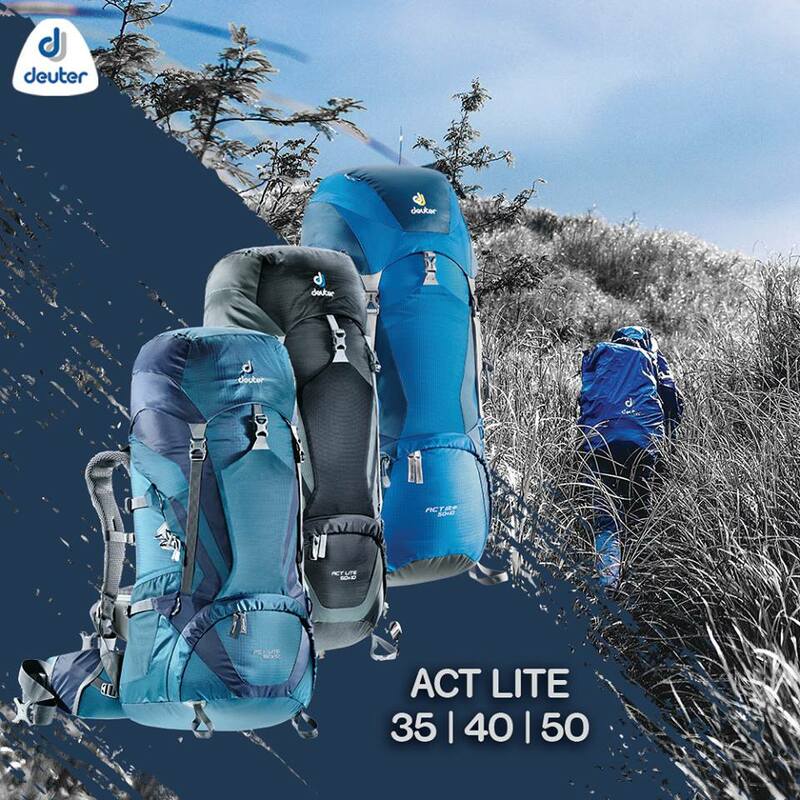 Rock climbing, mountaineering, long-distance trekking, trail running, and other outdoor sports and extreme adventures are physically strenuous activities. True, anyone, from children to seniors, has the capability to do these endeavors. However, it would be safer, better, and more fun if people who want to engage in such activities are fit and healthy. Generally, the more fit you are, the better your performance. So, do you want to have excellent upper body strength so you can finally send that roof at the local crag? Develop leg strength so you can climb that mountain of your dreams? Enhance your speed and stamina so you can win during that much-awaited triathlon? 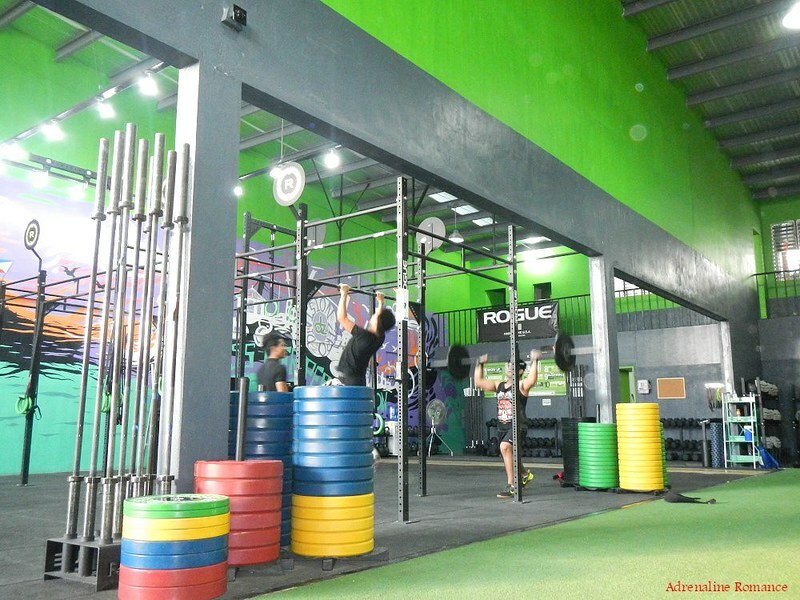 You can do this and vastly more at CrossFit Subtero, a new fitness facility that offers a revolutionary program to put you in the best shape of your life. 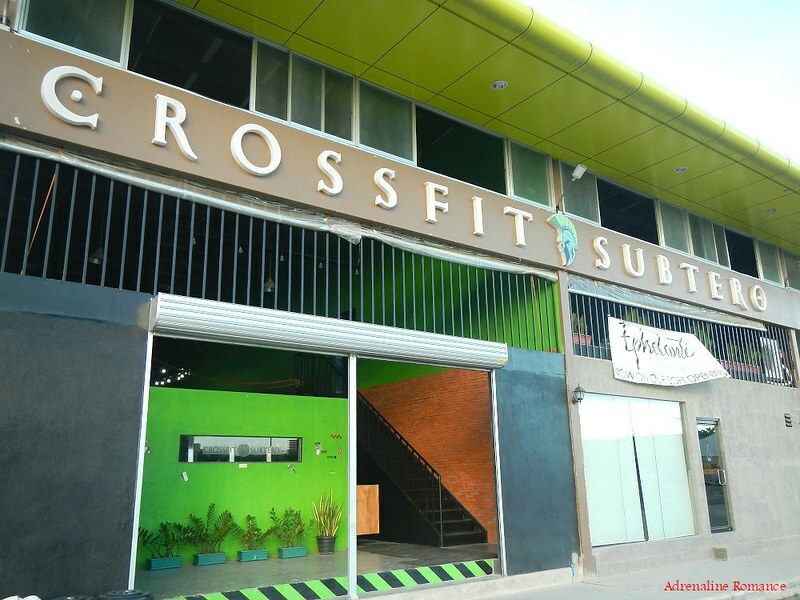 Since CrossFit Subtero is a relatively new gym, it took us quite awhile to locate the facility although we knew that it was in the general area around ParkMall Mandaue. Well, it turned out we missed their sign because it was facing the other way towards Cebu. Their gym is located in this large, comfortable, open-air building. 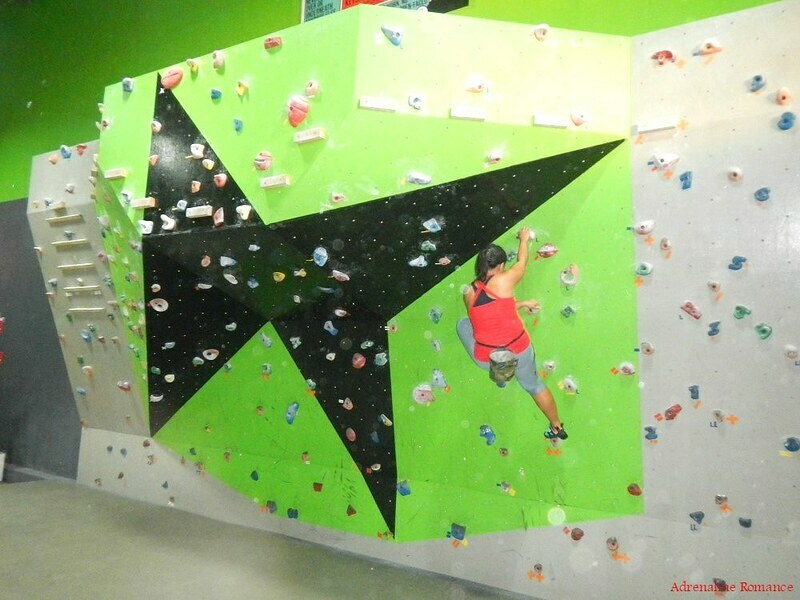 When we arrived, the very first thing we checked out is their vaunted bouldering cave. And indeed, upon seeing it, we were not disappointed. Check out that multi-faceted cave. We introduced ourselves to our contact Coach Jen. After exchanging pleasantries, we wasted no time in preparing ourselves to try out their cave. Look at their customized crash pad; it’s very clean and sturdy-looking. 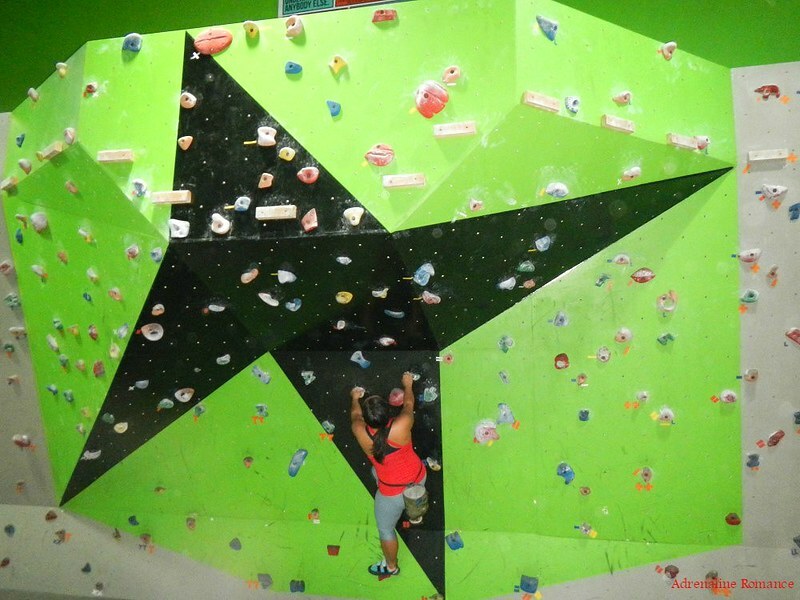 As we mentioned earlier, CrossFit Subtero’s bouldering cave has several facets. Sweetie warmed up on the easiest wall, which is vertical and straight. 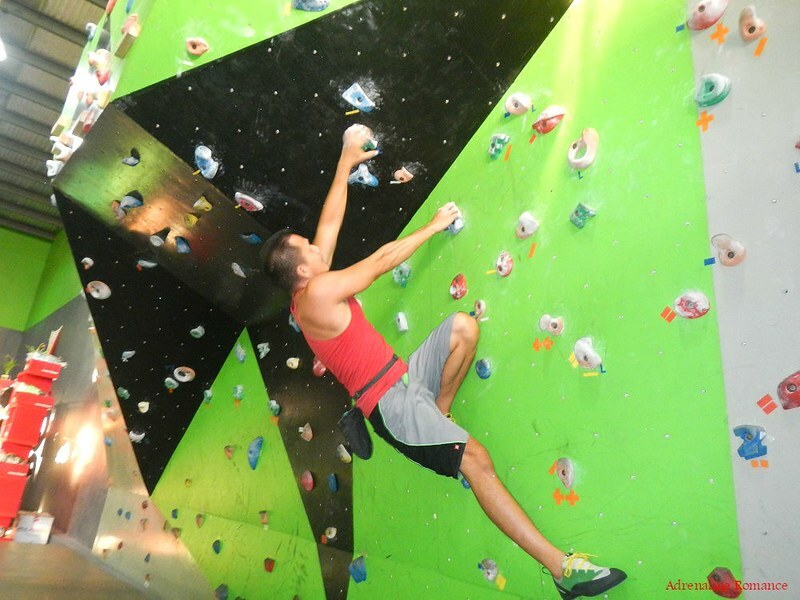 Many of the holds here have high positivity (i.e., easy to grip and maintain the hold). After the warm-up, it was time for the real fun part—trying to ascend the steep overhangs at the center of the cave. 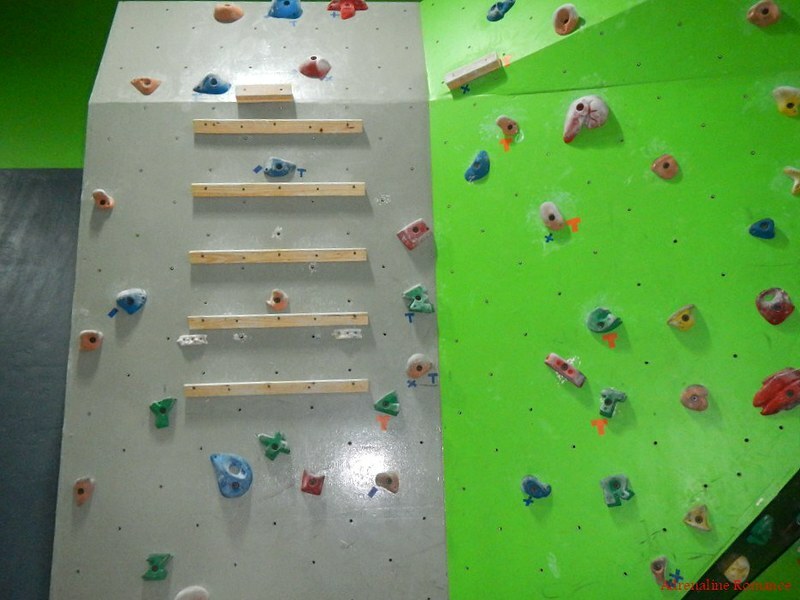 Their climbing holds are made up of high-quality polyurethane plastic, which is more resistant to chipping and breakage than earlier resin and wood holds. This makes bouldering in CrossFit safe and fun. Pinchers, slopers, pockets, crimps, and jugs are all affixed here. Problems (the official term for bouldering routes) with roofs are some of the most challenging and most fun routes to climb. Problems are marked by colored tapes that are stuck below the holds; you only use the holds that are marked with the same tape color. Another way of identifying a problem is to check the holds’ colors. You can only use holds of that color; here, I’m gripping and stepping on the yellow holds only. 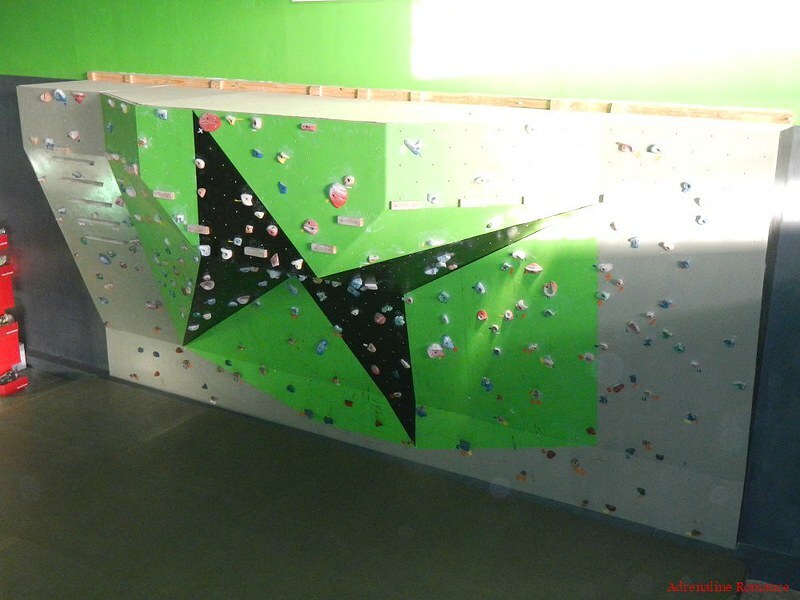 On one side of the bouldering wall is a sturdy wooden campus board. 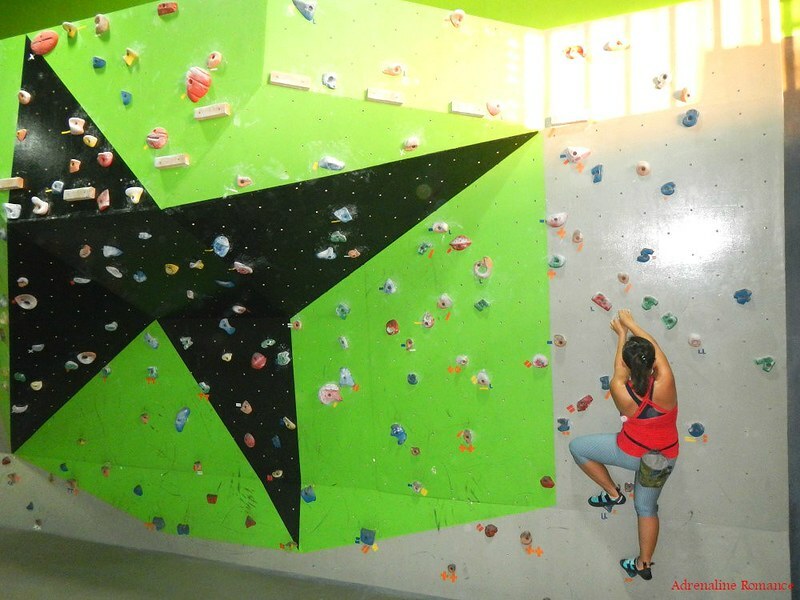 To use it, a climber ascends the slightly inclined campus board using only his or her hands. Training on a properly inclined campus board provides significant benefits to the climber. It increases their finger strength, enhances their arm lock-off strength, and improves their motor coordination. Sweetie had so much fun that she continued to climb several problems even though she was complaining about exhaustion. Yeah, right! We actually spent the entire afternoon bouldering until we were so tired that we couldn’t lift anything heavier than our eating utensils. 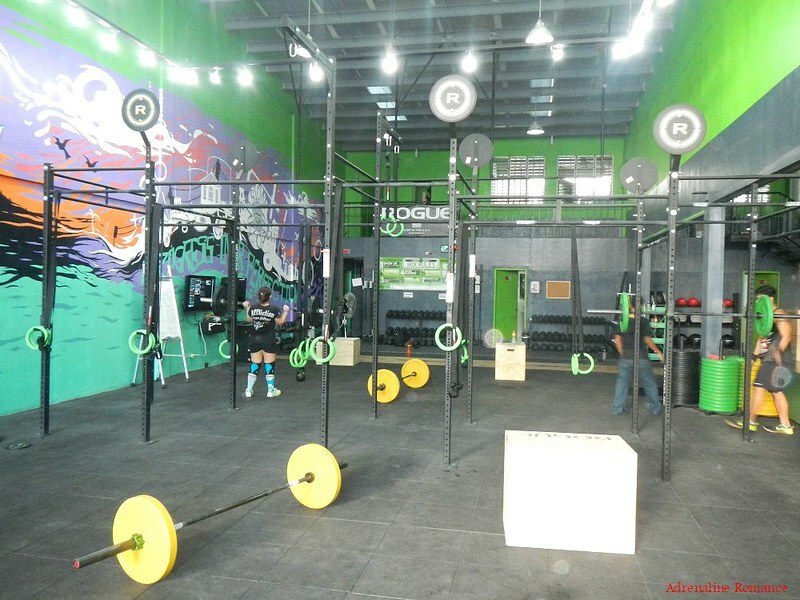 Two days after, Coach Jen invited us for a free energy-filled CrossFit class. CrossFit is one of the hottest things in the fitness world today, performed by athletes, bodybuilders, fitness instructors, and celebrities. Naturally, we want to know what it is all about. Friendly staff welcomed us as we entered the facility, making us feel easy and comfortable. They also sell equipment, footwear, and apparel for CrossFit training. Workouts are done in their clean, well-equipped, and state-of-the-art CrossFit affiliated gym that they call “the Box.” Boxes are designed with safety, space maximization, and efficiency in mind. Here’s another view of the Box; check out the efficient layout. 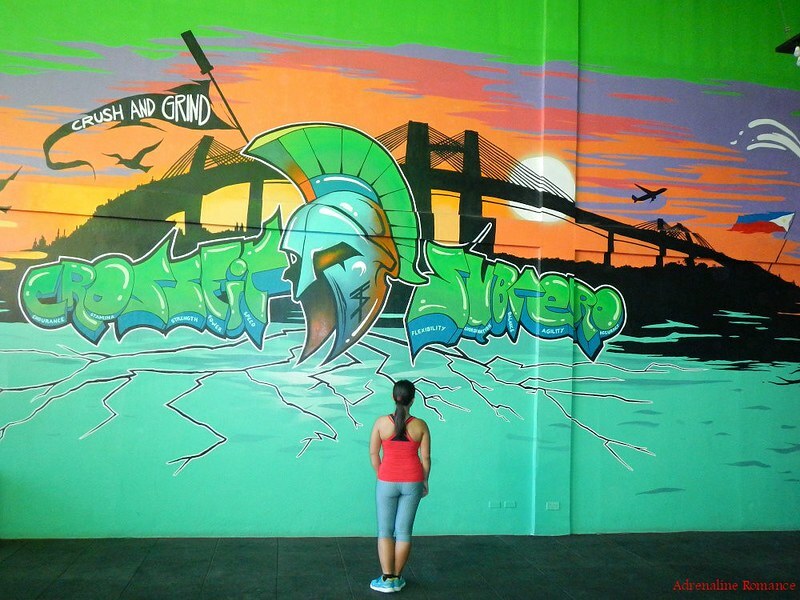 CrossFit Subtero is one of the 10,000 CrossFit affiliated gyms in the world. CrossFit programs involve a lot of weightlifting and strength training disciplines. 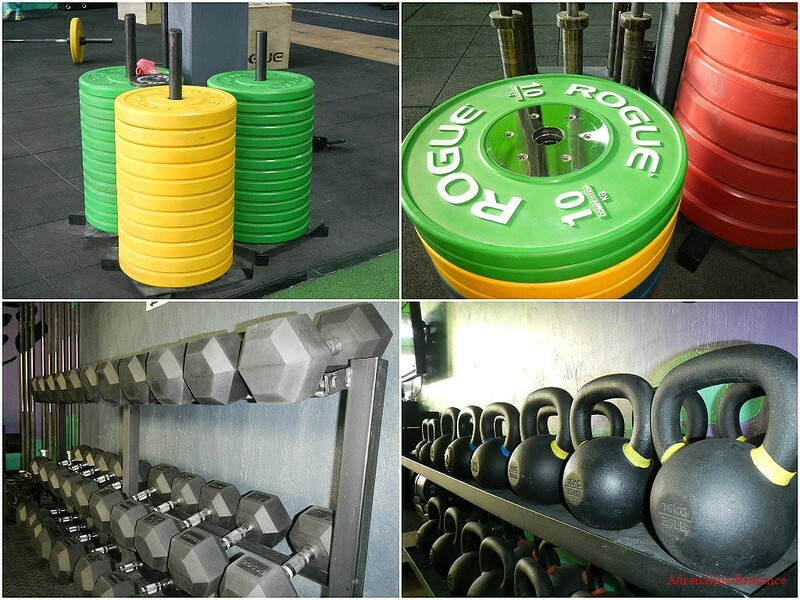 Thus, they have lots of weights, barbells, dumbbells, kettlebells, and more. That’s a lot of ball weights which you could lift, roll, carry, and more. But these other contraptions—the platforms with the three poles—piqued our interest. Apparently, you place weight plates on the poles of one of those platform. Ropes are tied on those platforms. 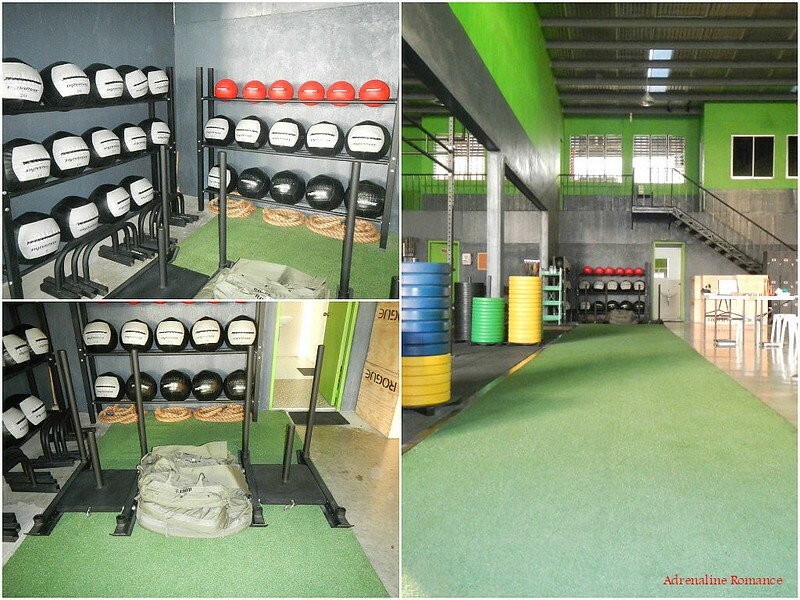 Then, you drag the platform on the artificial turf that is laid down all across the length of the gym! That must be pretty tough! We actually saw the same workout on YouTube when Henry Cavill was training hard to achieve the iconic muscle-rippling body of Superman in the blockbuster movie Man of Steel. Finally, Coach Jen summoned us; the free session is about to start. CrossFit, we learned, is a physical exercise philosophy that combines multiple fitness disciplines such as power lifting, plyometrics, gymnastics, calisthenics, and more. CrossFit describes their programs as “constantly varied functional movements that are executed at high intensity.” That means the workouts for each day varies; you don’t stick to a fixed fitness program. Also, your actions on these workouts coincide with the movements that you do in everyday life. Finally, all these actions are done at high speed, power, and intensity. The end result is a stunning and effective overall improvement in many aspects of fitness including strength, stamina, power, flexibility, and more. Awesome total fitness indeed! In addition, before and after a student’s WOD (Workout of the Day), he or she receives a performance briefing and consultation session. Coaches Jen and Chan showed us the proper stances and techniques in our fitness assessment exercises. 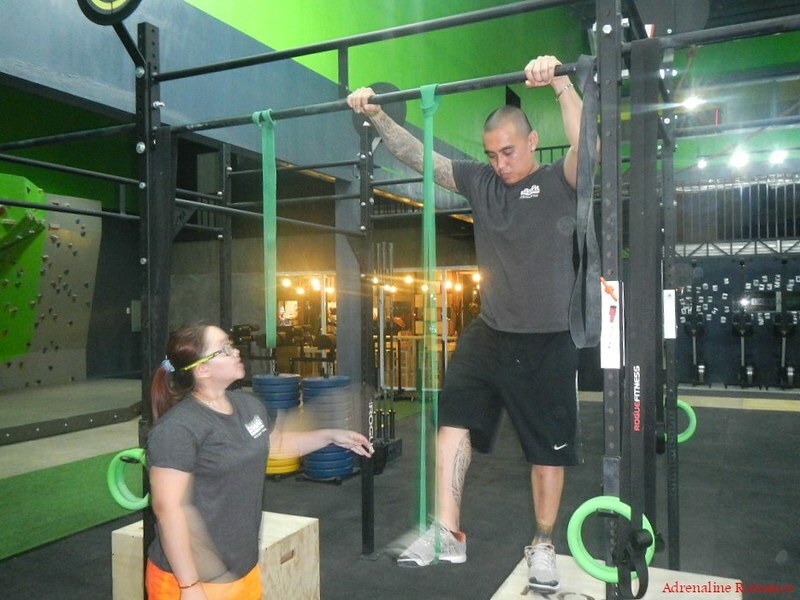 They are Level 1 CrossFit trainers; thus, you are assured that you are in expert hands. We experienced CrossFit for the first time with these professionals at the helm. Let us tell you, dear readers, that the session was the most intense workout we’ve ever tried. In just 10 minutes, we were out of breath, our muscles were sore, our lungs were about to burst, and our sweat was dripping in liters. And despite the exhaustion, we felt better than ever, laughing all the way! As per the company’s request, we won’t be putting photos, videos, and specific details of the actual CrossFit workouts as well as your benefits (which are jaw-dropping awesome, by the way) as a member. Thus, you have to get in touch with them and sign up for a trial session. After a great workout comes the best part—-refreshment! 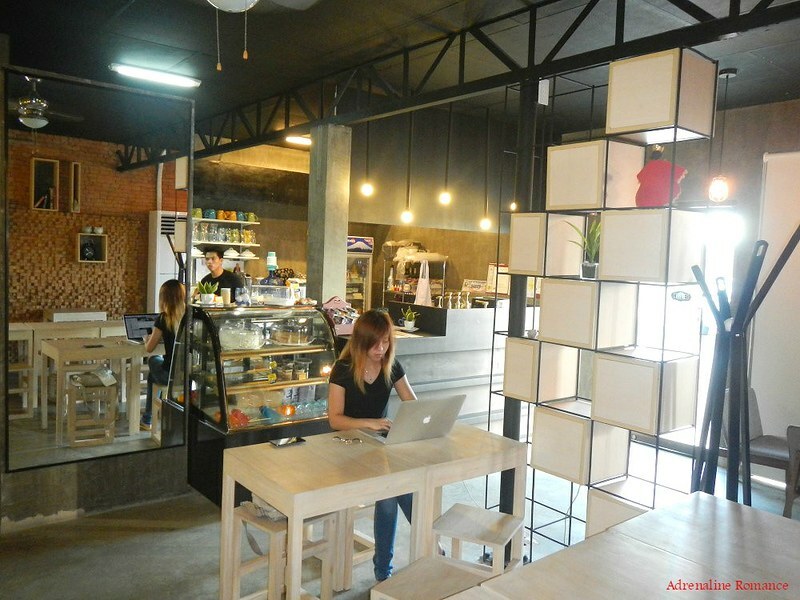 CrossFit Subtero makes sure that you don’t have to go far to look for fresh and delicious meals as well as quenching beverages. They have their own cozy cafe, named Ephelanté, just right beside the Box. You can talk about your latest workout with friends while having a warm cup of coffee. One thing that sets Ephelanté apart from other cafes is that they can prepare dishes for you based on your meal plan that is recommended by your CrossFit coach! Now that is one healthy cafe! Thank you very much, Coach Chan (middle) and Coach Jen (not in the photo), for letting us discover and try another super fun and intense way to achieve excellent form and fitness. We will surely be back for more. 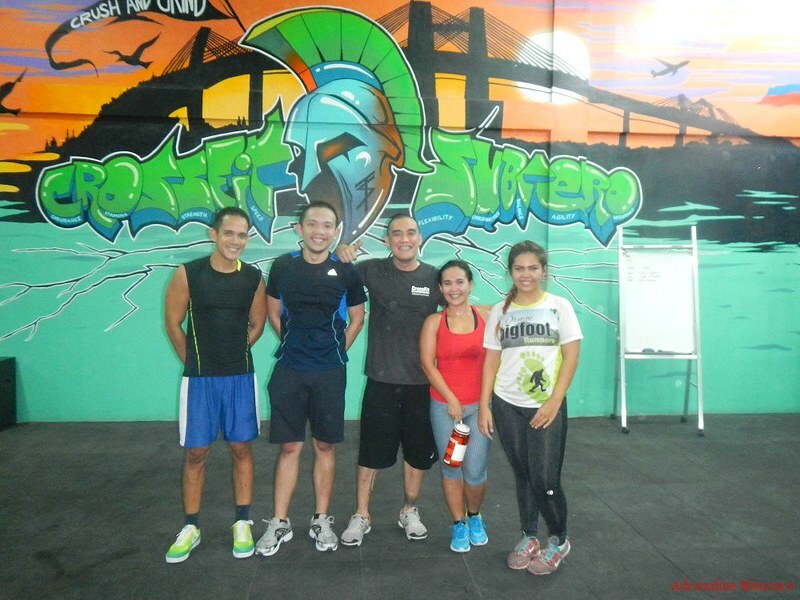 We strongly recommend you visit CrossFit Subtero if you want to push yourself to be in top shape and in the best of health. Their customized workouts are tremendously fun and highly effective. Get in touch with them now to schedule a free trial workout. You won’t regret it, and you would wish that you started CrossFit a long time ago. 1. For more information about their programs and membership details please get in touch with CrossFit Subtero using the following contact details. 2. 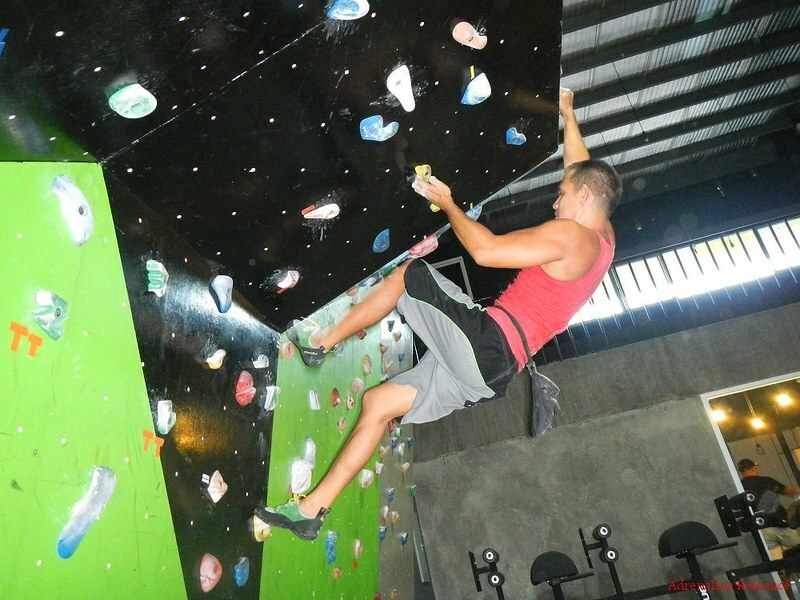 Know that their bouldering cave is another tool for their CrossFit workouts. However, they still gladly welcome patrons who just want to go bouldering. We are not sure if they have climbing shoes for rent, so we recommend you call them for reservations, rates, and other details. I LOVE CROSSFIT! I’ve been to several boxes, and this is the only one I’ve seen with a wall though. I do WODs while traveling, but I miss joining classes. Sayang akala ko sa manila yan. It’s in Cebu. 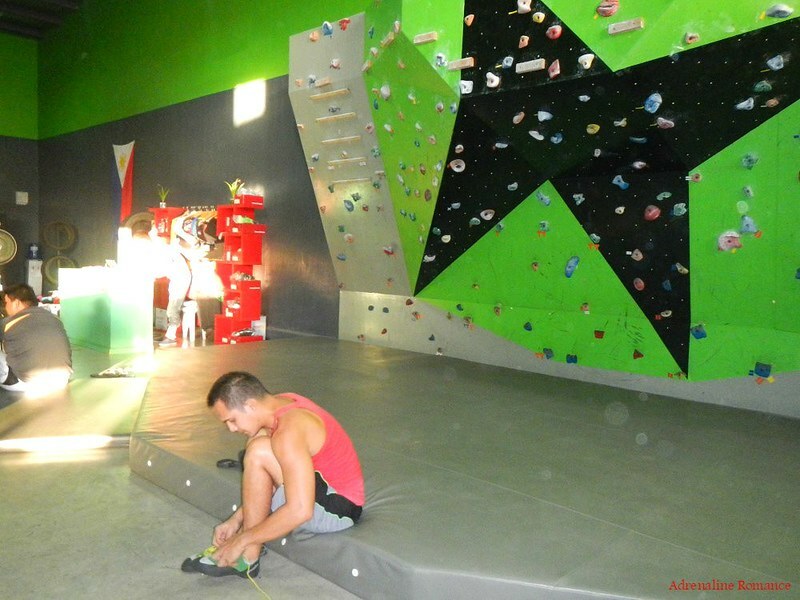 I think there’s another CrossFit-affiliated boxes in Manila, but we’re not sure if there are bouldering caves there. 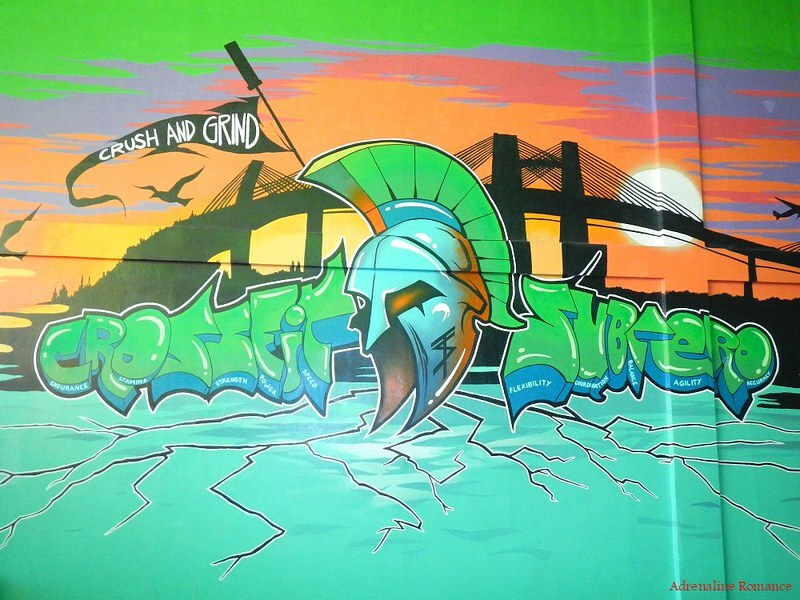 Thank you for sharing this to me Gian, I will definitely visit the place when I come back to Cebu. Bookmarked this for reference.